Pierre Corthay knows something of the feudal arts. 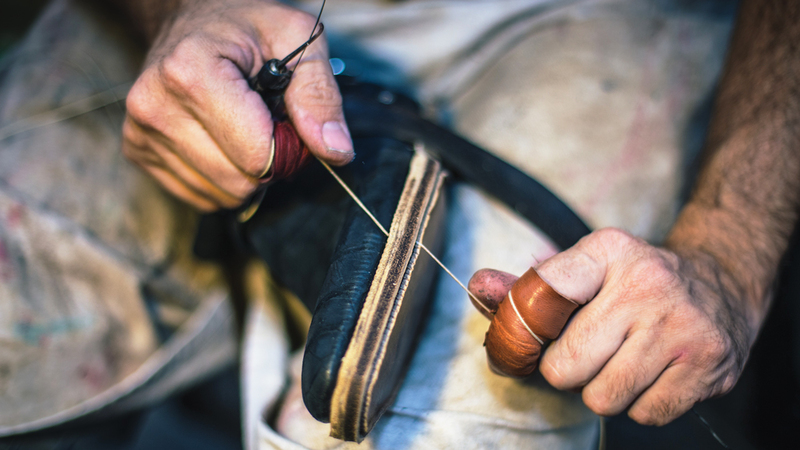 The shoemaker learned his trade the old-fashioned way: At age 16, he began a rigorous seven-year apprenticeship with Compagnons du Devoir, a French guild established in the Middle Ages. 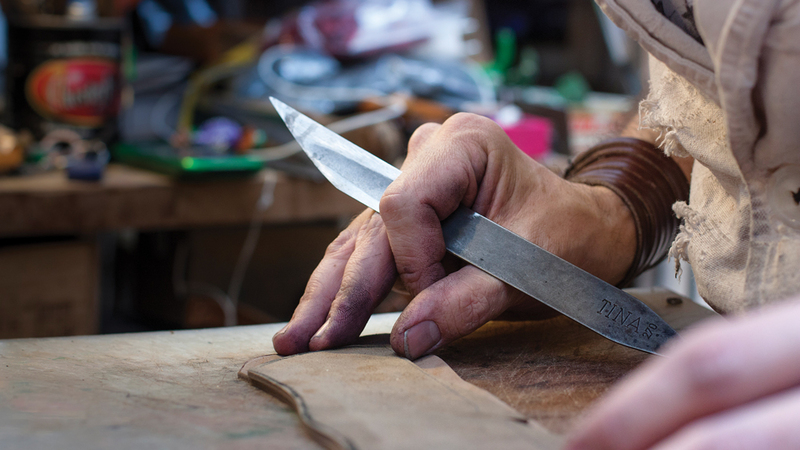 After nearly 40 years at the bench, he still has a boyish enthusiasm for his craft and continues to experiment with new materials, sculptural shapes, and creative finishes. 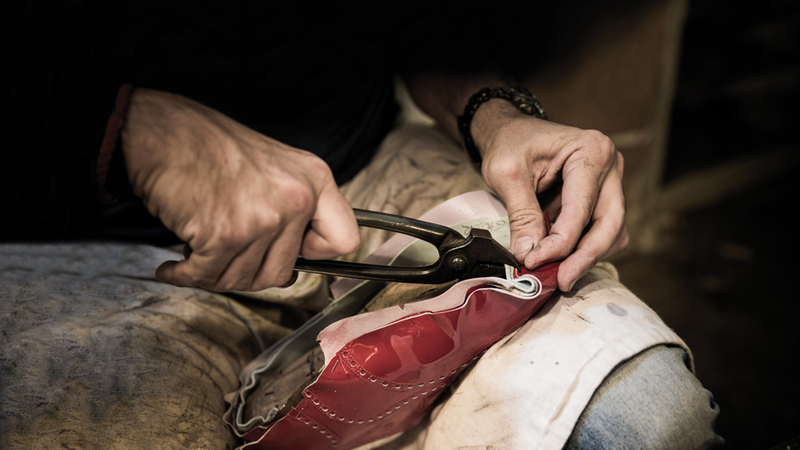 When not travelling for clients, he’s working on bespoke commissions—he devotes about 50 hours to each pair (which is why he sells less than 200 pairs a year)—in the workshop he established in 1990 in the center of Paris. 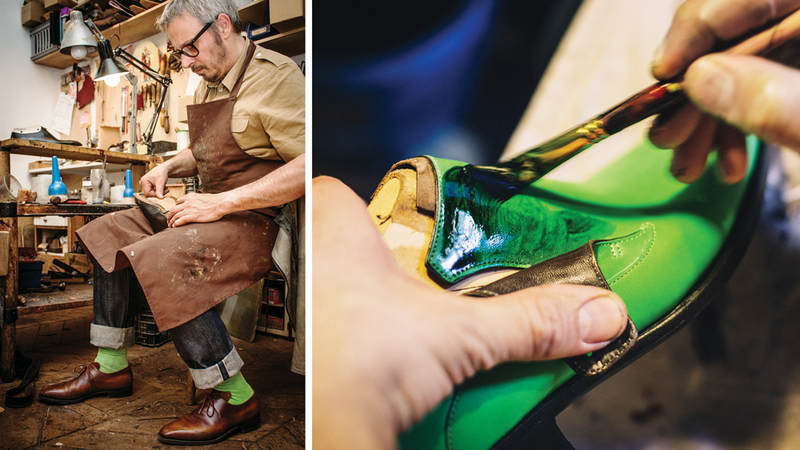 Here, Corthay reveals six secrets behind making bespoke shoes—which, he says, should last you more than 20 years. 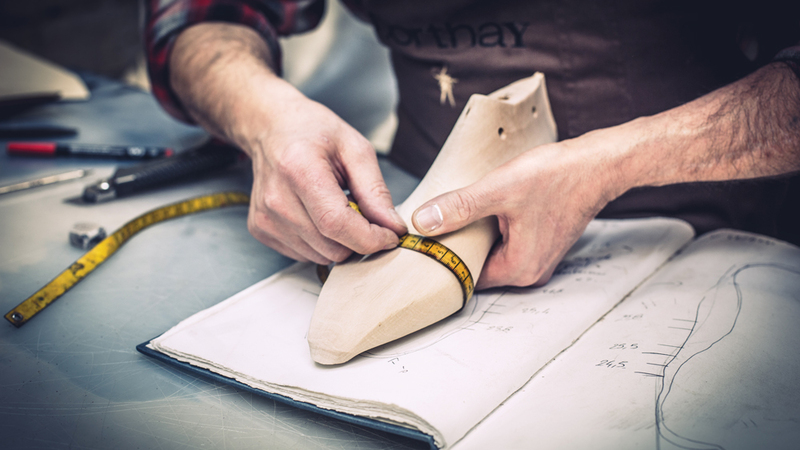 Utilising the wood last as a model, Corthay creates a paper pattern from which the leather is cut to form the shoe. 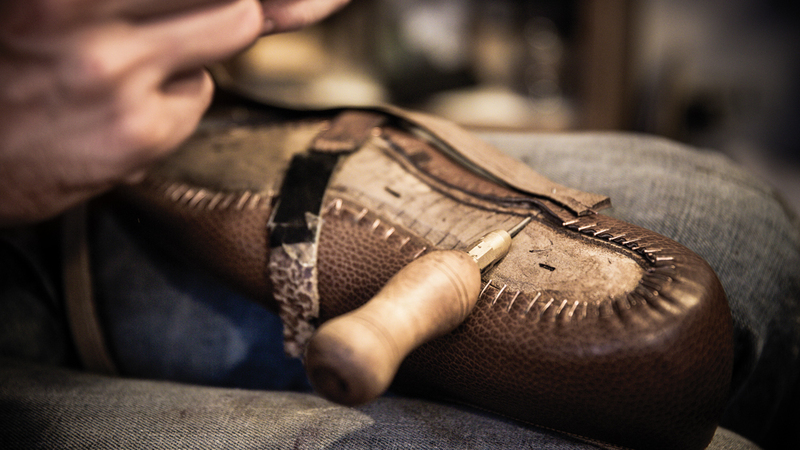 He sources his skins from the best French tanneries in the central Limousin region and, combined with his traditional construction, he says, delivers shoes with a lifespan of 20 years. Maison Corthay’s bold use of color imbues even classic footwear with a modern sensibility. The shoes are hand painted using a variety of patinas—burnished, ombré, matte—and they can be finished with glacage, a traditional polishing method that applies layers of paste and water resulting in a mirror-like shine.